Vital Imagery Blog: So What's the Deal With Those Keywords? For many of the years that I worked in journalism, finding graphics was done by leafing through a clipart book. Dozens of pages of images, divided by categories, were scrutinized before finding the right illustration to highlight a feature article or advertisement. The arrival then of online graphics services was welcome, as with a few simple words we could nowminimize the number of results. All, however, wasn't perfect. While Juliet may have known that a rose by any other name would smell as sweet, when people are searching for a rose on a clipart site they will most assuredly be calling it a rose. Ensuring that the hunt for the perfect image is as simple as possible means attaching appropriate words to that image. And adding the appropriate keywords to an image is a worthy task for those in the business. When first looking at an image, keyworders need to consider its potential, how it might be used, who might be interested in it and what can be done to help a diverse group of users find it. However, this is a human science. As such, images can be open to interpretation. For example, while finding photos of stressed, dazed businesspeople when searching for 'rat race' makes sense, just using the the word 'race' will also bring a few rodents into the mix. Ultimately, because of the many variables and variations that must be considered when keywording an image, keep in mind that what narrows down a search for some will inevitably broaden it for others. It's wise, therefore, to use all the tracks at your disposal. 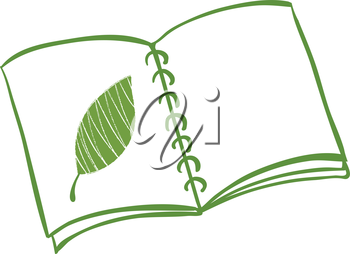 On sites such as iCLIPART.com for example, every effort is made to help customers separate the keywording wheat from the chaff. For instance an Advanced Search option for the aforementioned example for race enables searchers to eliminate any images that have the keyword rat by adding it to the exclude box. Other options allow people to look within categories or search strictly for colour or black and white images. So, for just a bit of coffee break fun, here's a challenge. 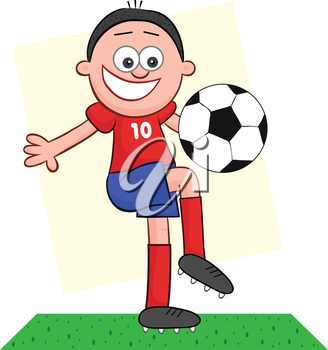 As World Cup fever is everywhere, let's look at this cute soccer cartoon from iCLIPART.com. The number of keywords attached to it is over 50. See how many you can think of.